Timber Rattlesnake (Crotalus horridus); official state reptile of West Virginia. Photo by tom spinker/Flickr (Noncommercial Use Permitted with Attribution/No Derivative Works). 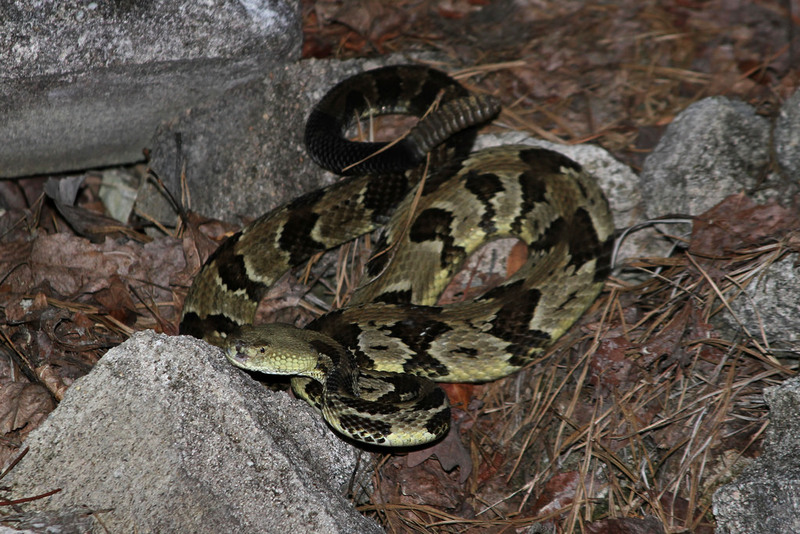 The timber rattlesnake can be found as far north as Vermont and its southern range includes the gulf coast. It can live in a variety of habitats, but in West Virginia is now usually found in remote, rocky mountainous regions. 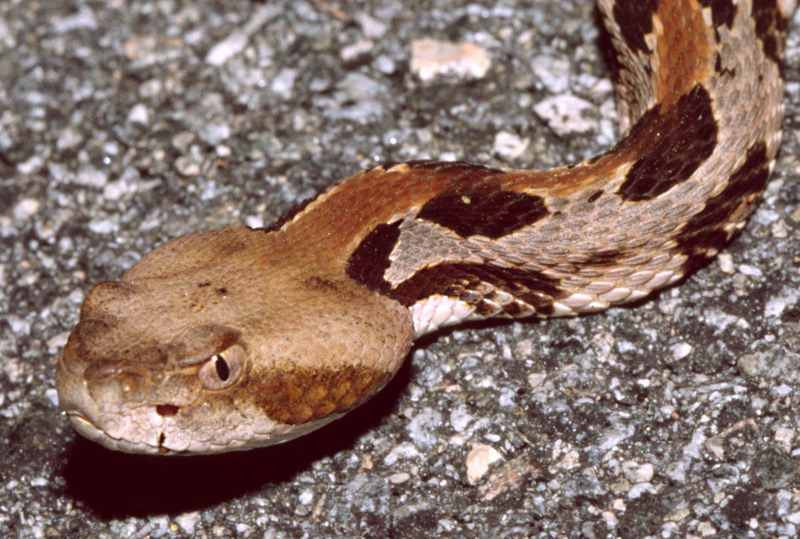 The eighth-grade class at Romney Middle School in Hampshire County was instrumental in the adoption of the timber rattlesnake as the state reptile of West Virginia (and the adoption of Jefferson's Ground Sloth as the state's official state fossil). Timber rattlesnake; the official reptile symbol of West Virginia. Photo by Ann Marie Morrison/Flickr (noncommercial use permitted with attribution/no derivative works).